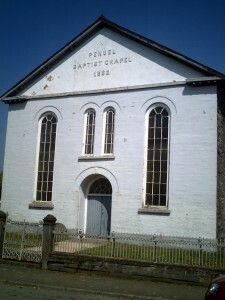 A small Baptist chapel was erected in 1820, serving the community until Penuel replaced it in 1863. The earlier chapel was situated behind the High Street, to the right hand side of Pumporth, above Allt-Gnappan. 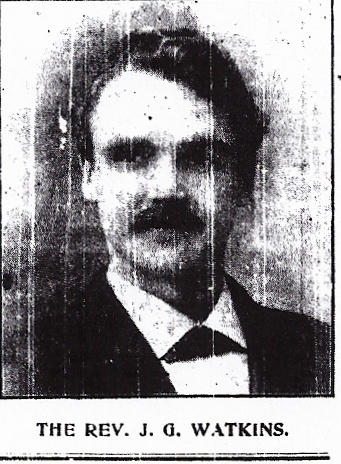 The builder is unknown, though Tom Morgan of Cwmplysgog has been suggested. In 1835 Rev. Thomas Rhys Davies became the Minister. He died in June 1859. In 1841 the chapel became independent of Bethania Baptist Chapel, Cardigan, and Cilfowyr Chapel. In 1850 Rev. Morris Evans took charge of Penuel and Penybryn Baptist Chapel, Bridell, with a stipend of £25. In 1851 there were 289 attendees on Sunday evenings. Rev. Morris Evans left the area in 1855. Rev. Simon Parry-Jones became his successor on 30th August 1855, before his tragic early death on 20th March 1859, aged 30. On February 20th 1860 the chapel formally linked itself with that of Penybryn Baptist Chapel, Bridell, with Rev. Thomas Jones installed as the new minister of the two chapels until 1866. 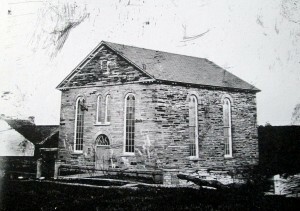 In 1861 work began on the new chapel on the present site, designed by John Evans of Cilgerran. David Michael and John Evans were the builders and John Jenkins and William Williams were the carpenters. The total estimated cost of the work was £750. There were 162 members and 80 scholars. A new clock added in 1863, completed the new building at an actual total cost of £600. 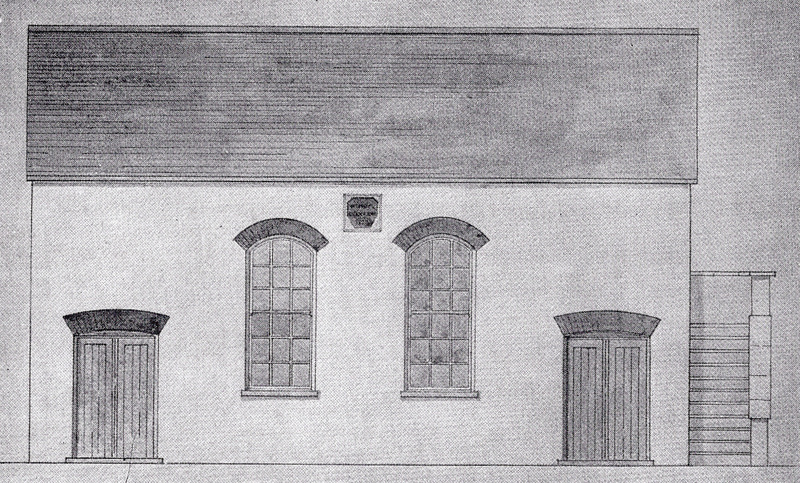 The trustees of the land on which the new chapel was built are recorded – Titus Griffiths, stonemason, Cilgerran; John Griffiths, stonemason, Cilgerran, David Michael, stonemason, Cilgerran; William Mathias, slate merchant, Cilgerran; William Jones, innkeeper, Cilgerran; Thomas George, innkeeper, Pendre Inn, Cilgerran; Daniel Owens, clogmaker, Cilgerran; Benjamin Evans, Cidigyll, Blaenffos; Thomas Griffiths, Penralltfach, farmer; Thomas Llewelyn, Glanymor, St. Dogmaels; William George, Ffynnonwen, farmer; David George, Kilast, farmer; Thomas William Edwards, Glanpwllafon, St. Dogmaels, farmer; Evan George, Bailey, Gentleman; Rev. William Roberts, Penpark; Rev. David Price, Blaenffos; Rev. 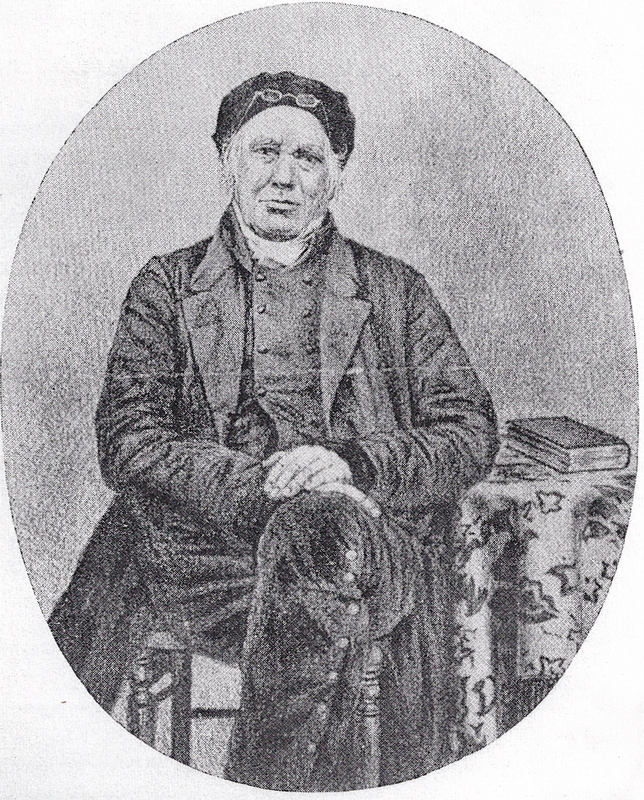 David George, Jabez; Rev. Rees Price, Cilfowyr; Rev. James Jenkins, Newport; and Benjamin Thomas, Newcastle Emlyn. Rev. Thomas Jones left the area in 1866. 1885 Rev. W. Cynog Evans became the new Pastor. He left in 1892. On 20th September 1895 a register of trustees was made. Surviving trustees from 1862 were Rev. Rees Price, Cilfowyr; Rev. James Jenkins, Newport; Thomas Llewelyn, formerly of Glanymor, but latterly of Briar Cottage, St. Dogmaels, and Thomas William Edwards of Glanpwllafon, St. Dogmaels. New trustees were elected on that date – John Griffiths, Glynhenllan Uchaf; William Mathias, High Street, Cilgerran; Daniel Davies, Cnwce, Cilgerran; Levi Jenkins, Cnwce, Cilgerran; Thomas John Lloyd, Castle Square, Cilgerran; Thomas Michael, Cwmplysgog; John Thomas, Pendre, Cilgerran; Evan Evans, Cemmaes Street, Cilgerran; William Thomas, Penffynnon, Cilgerran; Thomas Mathias, Parkydelyn, Cilgerran; David Owens, Carnarvon, Cilgerran; David Morgan, Rutland House, Newport, Monmouthshire; and William Owen, Osborne Street, Neath. In October 1895, John Evan George of Cardiff purchased a piece of ground by the chapel for £35 for the erection of a vestry. Rev. Edwin Watkins became the Pastor in 1896. He left in 1901. In August 1903 Rev. 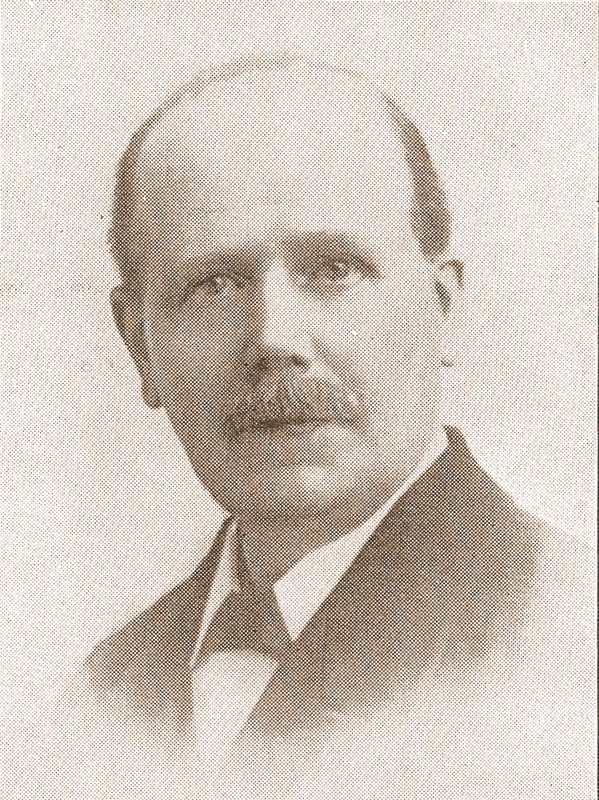 John Glandwr Watkins became the new Pastor, until his departure in 1908. On 3rd April 1908 tenders were sought for building a vestry. This was done at a cost of £335 to designs by W. L. Michael of Newcastle Emlyn. Samuel Morgan was the builder and Stephen George of Penuel Cottage was the carpenter. The vestry was opened in 1909. In May 1910 Rev. 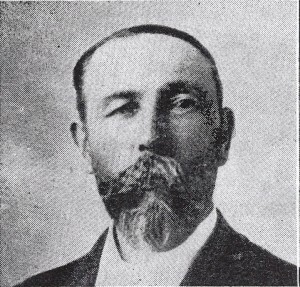 John Thomas became the new pastor until 1927. On 10th January 1911 Penuel was licensed for the solemnising of marriages. In 1913 there was a Sunday School outing to Poppit, St. Dogmaels. In 1915 the Deacons were William Mathias, David Owen, Evan Evans, Thomas Jones and Samuel Morgan. The Secretary was Evan Williams and the treasurer was W. Griffith Thomas. On June 16th 1915 the chapel unveiled its’ first organ. Electric lights were installed in 1920. Retired police sergeant William Morris became a Deacon in 1924. Rev. John Thomas left in late 1927. In November 1930 Rev. Arthur Haydn Rees became the new Pastor until at least 1965. On July 8th 1932 the following trustees were recorded – William Mathias, London House; Thomas John Lloyd, Castle Square; Thomas Michael, Cwmplysgog; John Thomas, Cwmplysgog, and David Morgan, No. 11 Bassaleg Road, Newport, Monmouthshire. 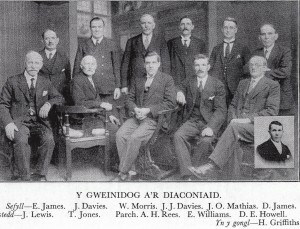 Newly-elected on that date were – John James Davies, Graig; David Elias, Penalltdraw; David Evan Howell, Church Street; Daid James, Brynteify; Evan James, Frondeg; Samuel James, Frondeg; Thomas James, Glandwr Farm; John Lewis, Penffynnon; John Owen Mathias, London House; Moses Osborne Morgan, Chapel House; Richard Morgan, Post Office Row; Idris Morris, Police Station, shop assistant; Ernest Thomas, Pengelly; Evan Williams, Tegfan; and William Lawrence Michael, Glennydd, Newcastle Emlyn. A history of the chapel, with illustrations of old and new Penuel, was published in 1935. The authors were retired police sergeant William Morris and Rev. D. J. Michael. Rev. Arthur Haydn Rees was still the Minister at that time. 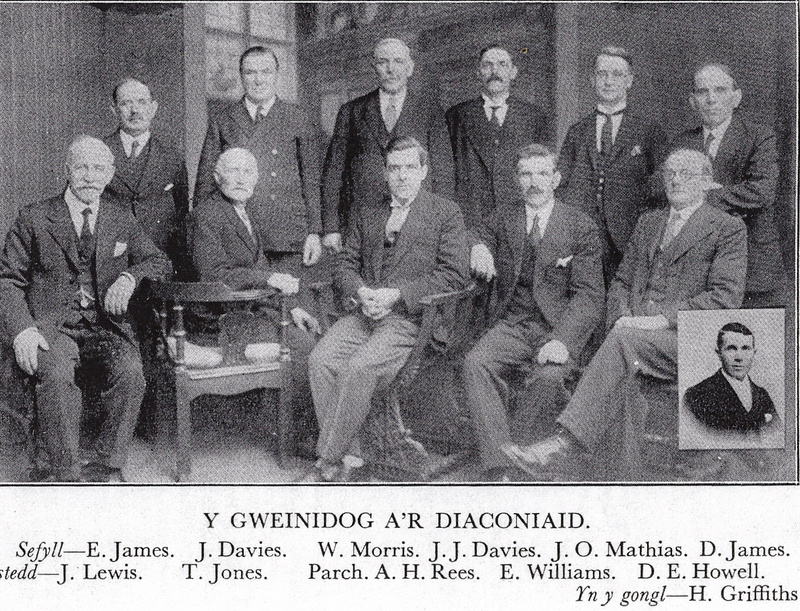 The Deacons in 1935 were named as – Evan James, Frondeg; David James, Brynteify; Captain J. Lewis, Penffynnon; John Owen Mathias, London House; and WilliamMorris, Brynawel. In 1938 the Deacons were: Thomas Jones; Evan Williams; John J. Davies; David E. Howell; William Morris; John Davies; Evan James; David James; and John O. Mathias. That year membership fell from 99 to 95. On 11th July 1944 William Griffith Thomas of the ‘Mason’s Arms’ died aged 70, having been treasurer for 25 years. On 1st October 1944 new Deacons included Mr. T. James of Penralltfach. On 10th August 1945 tenders were sought for external repairs. In 1952 the Deacons were named as Evan Williams, John Davies, David Evan Howell, William Devonald, John Owen Mathias, Thomas Griffiths, David John Elias and Thomas James. John Davies was the treasurer, David Chapple was the secretary and Vincent Howell was the finance secretary. In 1952 membership increased from 104 to 108. In 1965 Rev. A. H. Rees was still the Minister, and the Deacons were Evan Williams, David John Elias, John Owen Mathias and Thomas Griffiths. During 1965 membership fell from 104 to 102. From 1971 onwards there was no dedicated Minister. The Deacons were John Owen Mathias, Alun James, Samuel James, Vincent Howell, John Davies, Gwynne Wigley and Willie Davies. At the start of 1971 there were 90 members. In 1973-75 the Deacons were Samuel James, John Davies, Alun Jamews, Vincent Howell, Gwynne Wigley and Willie Davies. In 1973 there were 60 members. In 1974 there were 58 members. In 1975 there were 55 members. In 1976-82 the Deacons were Samuel James, Alun James, Vincent Howell, Gwynne Wigley and Willie Davies. In 1976 there were 48 members. In 1977 membership rose from 48 to 52. In 1978 membership fell from 51 to 50. In 1979 membership fell from 50 to 45. In 1980 membership rose from 42 to 43. In 1981 membership fell from 42 to 39. During 1982 membership fell from 39 to 38. In 1985 the Deacons of the chapel were Alun James, Willie Davies, Vincent Howell and Gwynne Wigley. Membership that year fell from 37 to 35. In 1992-98 Alun James, Vincent Howell and Gwynne Wigley remained Deacons. In 1992 there were 29 members. 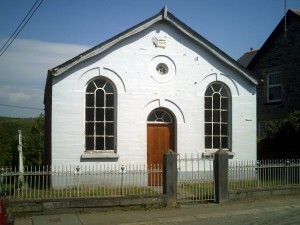 The chapel became a listed building in 1994. In 1998 membership fell from 18 to 17. The chapel was closed for services with a special service conducted by Rev. Meurig Thomas on 28th July 2009. Vincent Howell, the last remaining Deacon, read a history of the chapel and the final sermon was preached by Rev. Carl Williams of Fishguard. The chapel was deconsecrated at the end of July 2009. In September 2011 the building was advertised for sale together with the vestry. The property was sold in 2013. 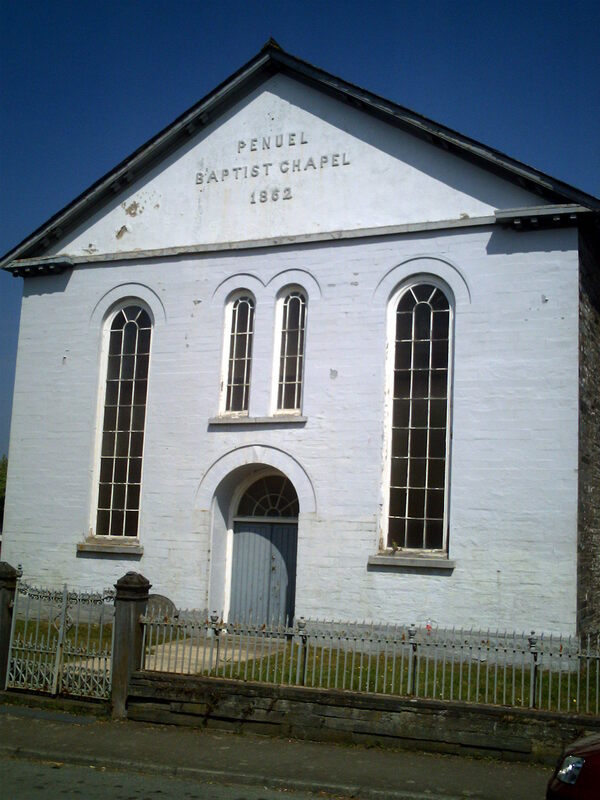 “…EXTERIOR – 1862 Baptist Chapel in painted squared Cilgerran stone with slate roof. Gable front with open pedimental bracketed eaves, arched windows and door with recessed stone voussoirs, slate sills and small-paned glazing. Two long arched side windows, two narrow small centre lights with marginal glazing bars and centre double ledged doors with radiating-bar fanlight. Raised plinth. Rubble stone side walls with two long arched sashes each side and cut stone voussoirs. Bracketed eaves. INTERIOR – Painted grained box pews with gallery raised on 6 plain iron columns (marked T. Thomas, Cardigan). Gallery has curved corners, coved underside and panelled front, the panels with planted marginal mouldings rebated at corners. Clock marked ‘Penuel 1863’. Balustraded great seat and pulpit with curved front. Arched recess behind pulpit. Ornate centre roundel to ceiling, otherwise plain. Entrance lobby has traceried window with dove descending in stained glass and some etched and coloured glass to the corners. VESTRY – Added in 1908 in similar style, two long arched windows with keystones, arched centre door, and roundel above. Three-window sides. 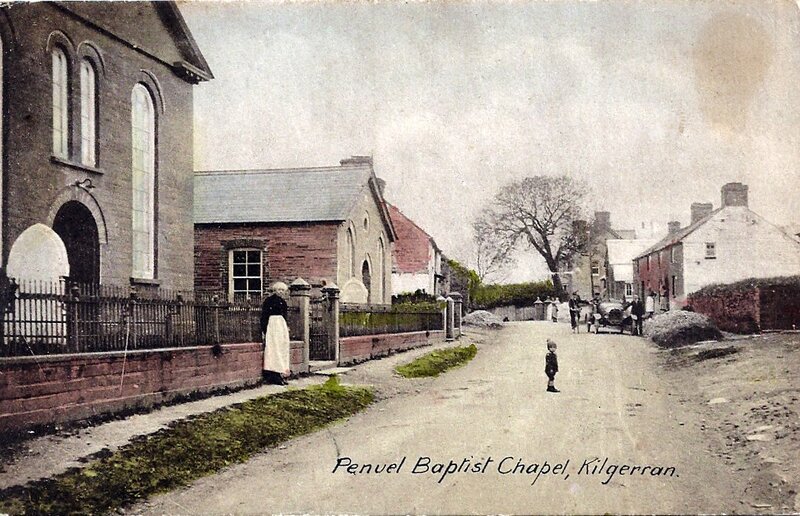 Once again you’ve written a great history about a part of Cilgerran – Penuell Baptist Church. 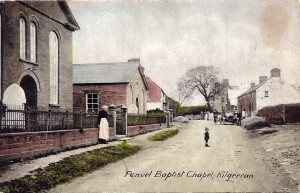 If you have read the book, “Moses Was a Welshman”, you would have seen an image like your old postcard of Penuel Baptist Church in it. Accordding to my mother Eleanora Larsen, her brother, Willie Larsen was the little boy in the street. It was interesting to know that John Evans was the builder of the church. He was my 3x great grandfather. Thank you, Glen, for the hard work you’ve put into this. Thanks Kay. Interesting to know the name of the little boy. I didn’t know you had a connection to John Evans – I am fascinated by the architectural work of his father, Daniel Evans, and grandfather David Evans, who seem to have been responsible for so much of the good architecture locally in the early 19th Century. Do you know the story behind this man’s choice of “Kansas” as the name of his home or farm? I should add this was in the Penuel cemetery. I believe I can help, as the house “Kansas” once belonged to a member of my extended Cilgerran family. John Thomas, sculptor, was married to a great-aunt of mine, Margaret Griffiths, a daughter of Titus Griffiths and Martha Evans Griffiths of Cilgerran. “Kansas” was built sometime between 1914 and 1918, so far as we can tell, by an uncle of Margaret’s. We think the uncle must have been an Evans family member, because they were builders and stonemasons. This uncle had spent something like 30 years in America, in Kansas City, as a stonemason and builder, until returning to Cilgerran around 1913 and building this grand house. He gave it to his niece, the family story goes. I have found an Evans from Cilgerran living in Kansas City during the latter part of the 19th century. I am an American whose mother was from Cilgerran, and I am in Wales at the moment, so am telling you this from memory, since my records are back home. The house later belonged to Fanyw (Thomas), daughter of Margaret and John Thomas, and her husband Peter Phillips and is no longer owned by a family member. Hi Andrea. Thanks for supplying this very helpful information. Family records and memories can sometimes supply a lot of information which is otherwise elusive! Kind Regards, Glen. Thank you very much for this very interesting information!